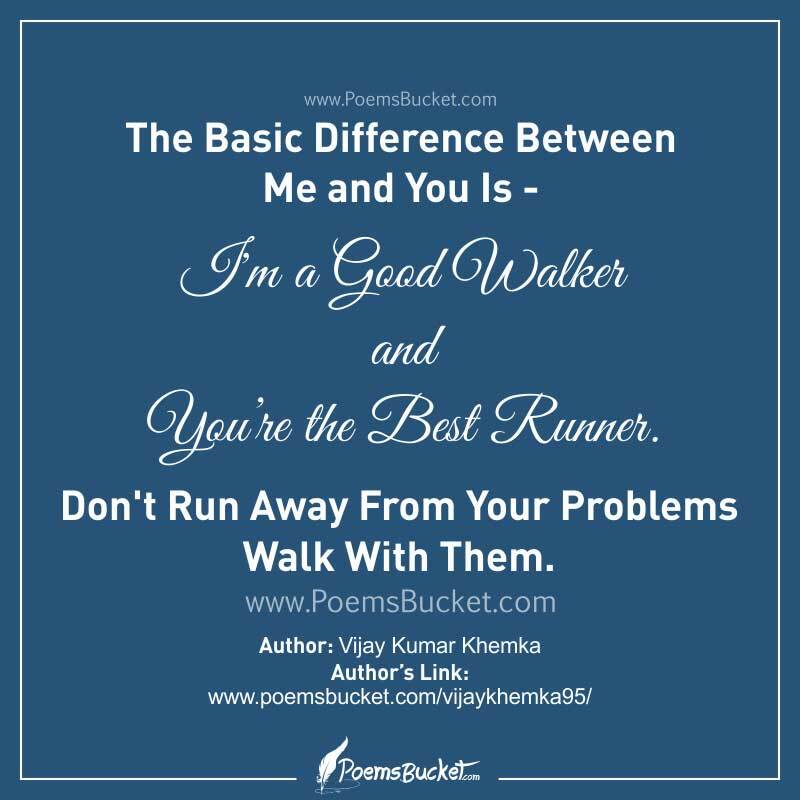 I’m a Good Walker and You are the Best Runner. Don’t Run Away From Your Problems Walk With Them. An Eye With Dust & A Heart With Trust Always Cries..